Brother Hebert of North Carolina has put together a beautiful, full-color calendar depicting the Hebrew Feast Days, according to Enoch’s Solar Calendar. Each page depicts scenes from the Bible and from our Anglo-Saxon heritage. If you would like a copy, just click on the “Donate” button below and send us a donation of $20 or more to get your calendar. 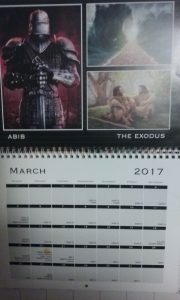 Please put the word ‘calendar’ in the message and give us a mailing address. 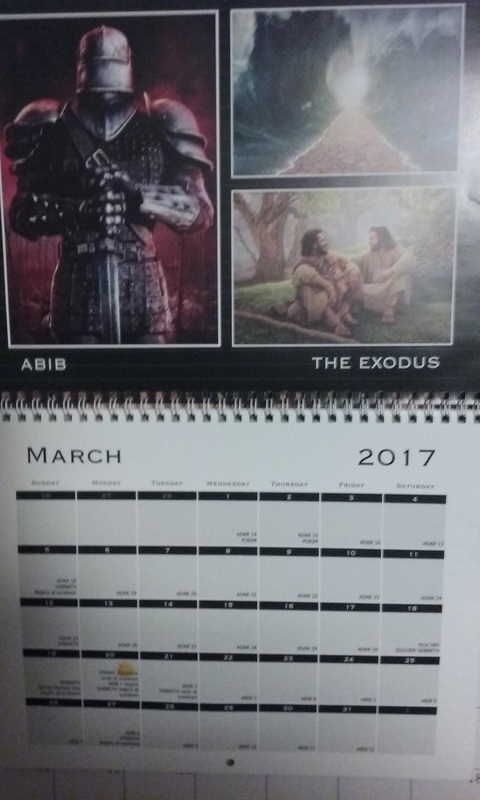 Get your calendar in time for the new Feast Days, beginning with Passover, Sunday evening, April 2nd, 2017. Yahweh bless, and thanks for your support.